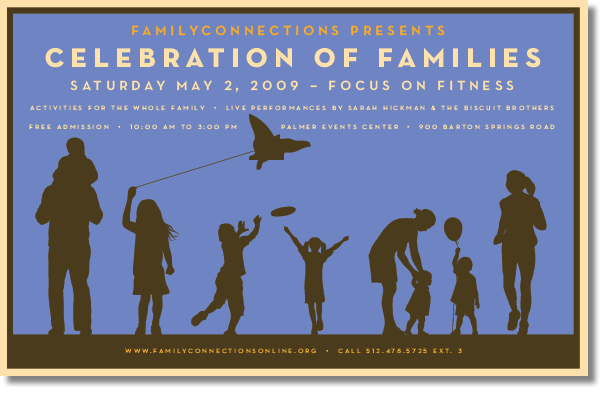 Poster created for Family Connections, a not-for-profit organization dedicated to helping low income families. Sadly, executive director embezzled all their money and went to live in Venezuela. Created for Sherry Matthews Advocacy Marketing.